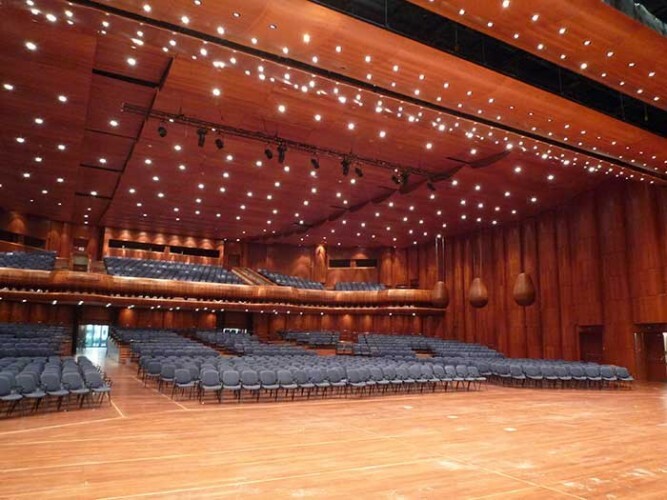 The Stravinsky Auditorium is part of the Montreux Convention Centre which sits on the shoreline of Lake Geneva in Switzerland. It hosts, amongst a wide range of events, the legendary Montreux Jazz Festival which itself will forever be associated with the destruction by fire of the original Montreux Casino during a performance by Frank Zappa and which was commemorated by Deep Purple in ‘Smoke on the Water’. The key to the appeal of the auditorium is its modularity, enabling it to be adapted for the widest possible range of uses. With a partially modular floor the venue can be configured in classroom, concert and theatre configurations. The Stravinsky is quite simply a giant of a venue with a peerless reputation. Given the scope and nature of the Montreux Jazz Festival it is accurate to suggest that just about every popular music star worth the name has set foot on its 250m2 stage. 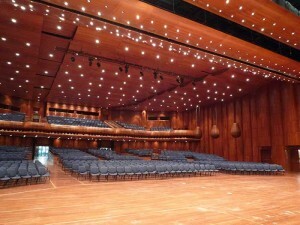 As one might expect of such a prestigious venue, The Stravinsky strives to improve and develop its features at every turn and to this end commissioned GDS, through its distributor Swiss Light Consulting, to supply a new lighting system able to specifically adapt to the modularity of the stage area. 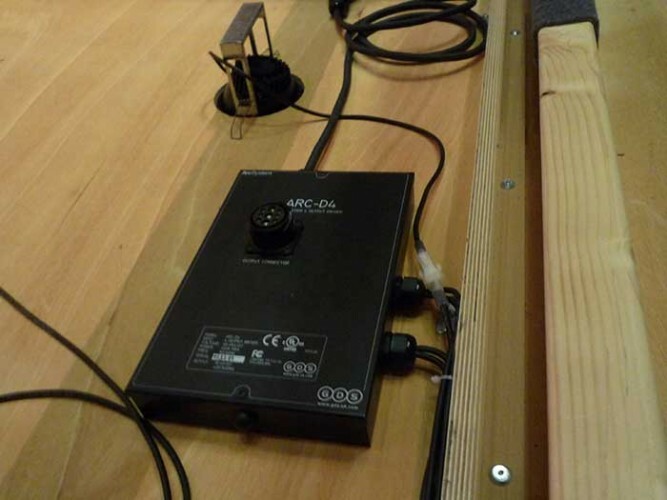 During orchestral performances, for example, the depth of the stage and the position of acoustic baffles within the hall changes significantly. The system had to be flexible enough to accommodate these variations in use. The requirement was to significantly improve the brightness of the lighting in the required area under the circumstances described. GDS ArcSystem was deemed ideal for the purpose. Following close consultation on site with all parties concerned GDS supplied 266 ArcSystem Decor Fixtures 1 Cell 2700K 27 degree recessed fixed with adjustable brackets and 68 ArcMesh D4 Drivers 80W controlled via two ArcMesh Control TX1 master transmitters and 1 ArcMesh Control eight-button wireless vontrol panel. GDS created a bespoke wiring loom to enable swift installation of the fixtures. As well as being delighted with the outcome, both the client and the installer were impressed by the short time scale within which GDS were able to respond to their needs.